New features, updates, and adjustments to the base game. For a full list, see the change log below! Looking for a get rich quick scheme? Well, this may not quite fit the bill, but it will fill your pockets! Choose an asteroid in your zone of control and build an Asteroid Mining Base. When completed, it will send raw production to a planet of your choice. make sure to keep an eye out for your enemies, though -- these bases are fragile and easily destroyed. There are a lot of planets out there just waiting to be discovered! This new planet list allows you to keep track of the planets you've already found so that when you go back to colonize them later, they're much easier to find. Win battles and survey anomalies to level up your vessels! Most ships will gain additional hit points as they gain experience and Mercenary Ships will improve based on their existing abilities, which makes them a lot more relevant in the late game. Click on a star to see all colonizable worlds within that system. 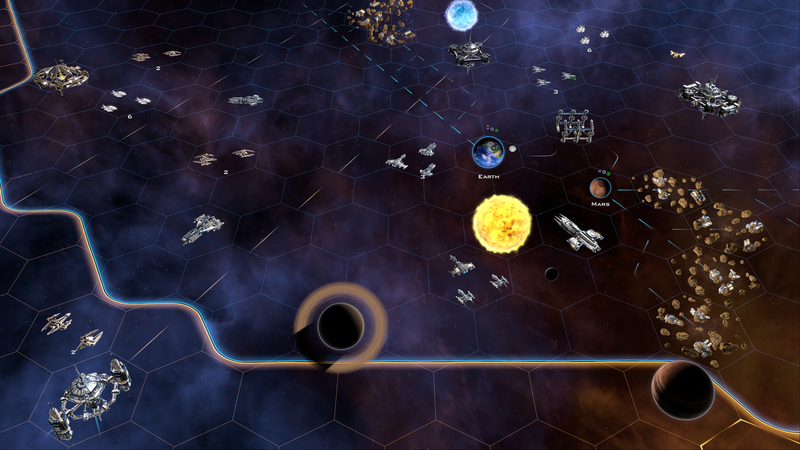 Organize your empire by renaming stars with your own name scheme - or, draw inspiration from your favorite Sci-Fi series! Enjoy new stability in your games online with friends! The game has been updated to allow for increased ship movement during multiplayer matches and a host of fixes for issues that could cause desyncs. If you've been playing Galactic Civilizations III, we want to hear from you! Join the conversation over at Steam. For more information on v1.8, check out the change log below! Asteroids within your ZOC can be mined. Each Mining base costs 500 credits and takes 3 turns to build. Mined Asteroids will provide a raw production bonus to the nearest planet. The bonus is reduced by distance. You can reassign the receiving planet. If the ZOC changes, the Mining Base will be automatically flipped. 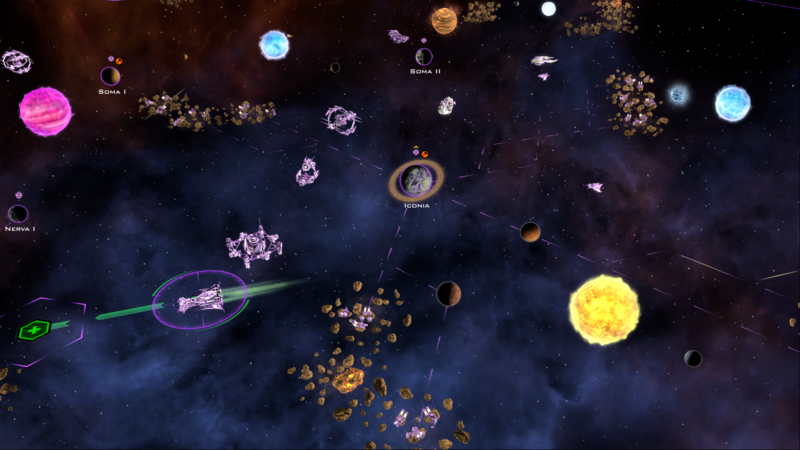 Mining Base can be attacked and blown up by enemy fleets. Mined Asteroid map icons are tinted to their faction's color. Note: The Asteroid Mining feature will require starting a new game. You can now click on a star to see colonizable worlds within that solar system. 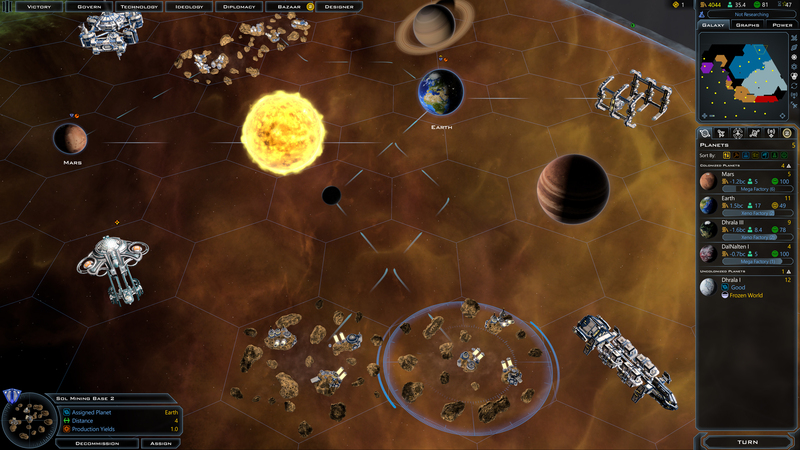 Clicking on one of the planets will select it on the strategic map. Click on a star's name to rename it. The Colonies list now has two sections: Colonized and Uncolonized Planets. Uncolonized Planets lists out the planets you've discovered but haven't colonized yet. Both sections are collapsible and are independently sorted. 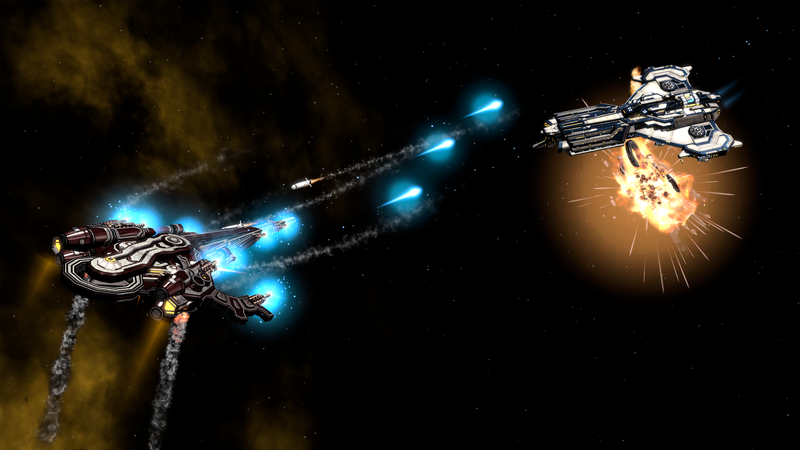 Ships gain experience through winning battles and surveying anomalies. This experience translates into a ship level. Ships gain additional HP as they level up. Mercenary ships gain additional bonuses. Refactored movement and events systems to reduce the number of stuck turns and desyncs during multiplayer. These changes should have no gameplay effects. Increased the movement speed of ships only in multiplayer. Ships In ZOC diplomatic modifier takes into account how many ships are in the ZOC . If it's just 1, it tends to let that slide. Added recommended player counts to each galaxy size. When you choose a galaxy size, you can choose to automatically add the recommended number of players to the game. Iconian Defenders will no longer respawn after being attacked by a faction with the "Scavenge" ability. Right-aligned the values for the lobby details section to account for differences in length of the titles for various languages. The Lobby Window was being hidden unnecessarily when clicking the Invite Friends button. It now stays visible in the background. Fixed various places where long names (planet, shipyard, or starbase) would break out of their frames. Fixed issue that prevented allies from using the "declare war on" offer during trade. Fixed crashes caused by canceling a starbase modules. Fixing an issue where canceling mining starbase modules on a starbase with claimed resources caused the starbase to remove the queued modules incorrectly. Fixing a tooltip where it would say you can't build you because the module is claimed by another starbase, when in fact it was claimed by the current starbase and the warning is in error. Logistics now shown with decimal values. 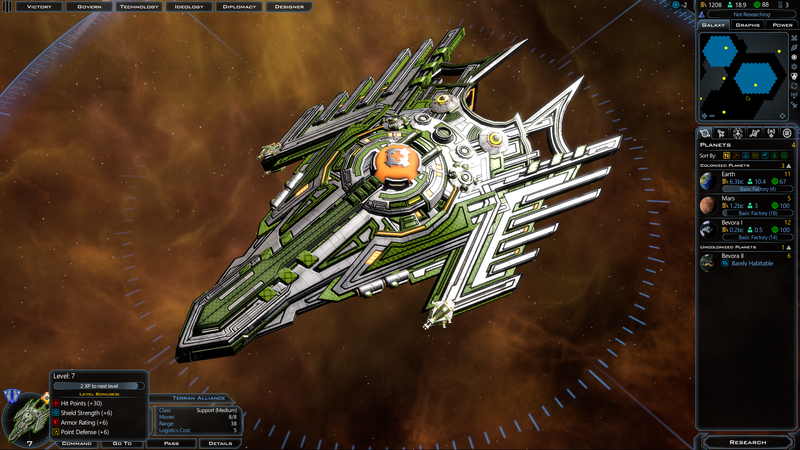 Previously, value was being rounded in the UI and which in some cases, made it appear that a fleet had room for another ship. Re-implemented the round robin colonization event mechanism to be simpler and also functional. This should fix problems with colony events not firing after the list is exhausted. Nice thank you very much! Have the long turns associated with this update been fixed? Yes, its much faster now. Nice, I will fire up a new game tonight! Hehe no Kidding, its faster than 1.71, awesome job! To those who used the opt-in: when upgrading a ship, is its accumulated experience retained? Can you turn your survey ship into a flagship? Sorry never got that far, the slow turns stopped me playing. Now though.....8 AI turn 21, 1-2s and they are done! XP is retained after upgrading ships. However, this is something that we'll keep an eye on. Great news! But: when will you make the update available to those who bought the game from gog.com? Thanks! Easy Ai has economy nerfs, trade income is based on incomes on both planets, so maybe sub-normal AI caused trade routes to provide less income? Maybe? AI now(as of 1.6?) have diplomatic modifiers for non-allied ships within their space. Sent a fleet and they hate you. Now they don't care if your survey ship alone flies around their ZOC. Thanks for the reply, Exelsis. Thinking about it some more, maybe if you are trading with someone they will take into account mutual trade routes before calling you an "easy target" and declaring war? That would be my guess. Your ZOC answer makes a lot of sense. I really appreciate the new way you've listed ships able to be built with your current weapons and defenses. This has been an immense quality if life boost for me because before war was tedious making my own designs for ever single thing. If there's a possiblity, adding even more designs you guys made would be awesome.